Last month, we in Sanpete County lost a leading citizen who not only accomplished an extraordinary amount in his life but also made a lasting impression on us because of his integrity and service. Judge Don Tibbs of Manti died on a Sunday, Nov. 20 at age 92. 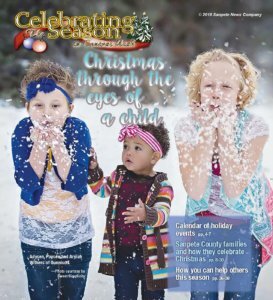 Under ordinary circumstances, the Sanpete Messenger would have run not just an obituary but a page 1 story on his passing. But that week, because of Thanksgiving, we had to put the paper out a day early. That meant we had to send the paper to press in the early afternoon on Monday. Understandably, the family did not have obituary information by then. We did run an obituary the next week after the funeral. But this week, I want to correct our sins of omission by paying tribute to Judge Tibbs. Don Vaughn Tibbs was born Nov. 14, 2014. His parents were living in Salt Lake City, but they came to the home of his maternal grandparents, Don and Ruby Shand, at 290 Union St. in Manti, for the birth. Although Tibbs grew up near Liberty Park in Salt Lake City, he maintained close ties with his grandparents in Manti. By the time he entered the University of Utah, America had entered World War II. He was drafted into the military, passed the test to become a pilot and was completing his final training in Arizona when he got a letter informing him the country didn’t need any more pilots. He was transferred to the Army. His rank was changed from corporal to private. “It just broke my heart—the worst disappointment of my life,” he said later. He was sent to Germany and assigned to do reconnaissance. One day, he was ordered to climb on an earthen roadblock, look through binoculars, and let nearby U.S. troops know what angles to use in aiming their weapons at the enemy. Suddenly, trees began falling around him and shells poured over him. His leg was struck by shrapnel and was bleeding profusely. He managed to roll off the barricade. Another U.S. soldier carried him to the porch of a house, where an Army medic attended to him. He received a medical discharge, along with a Purple Heart and Bronze Star. Throughout his life, including into his 90s, he was active in the Manti Post of the American Legion, participated in flag ceremonies at the Manti and Ephraim cemeteries on Memorial Day and Veteran’s Day, and helped put on salutes at countless veteran funerals. When he returned from war and applied to use the GI bill at the U. of U., he was told that based on testing, he was best suited for engineering. He had to put up a fight to pursue his dream of going to law school. In 1948, he married Marjorie James, a woman he had met before leaving for the war. They raised five children, Claudia, Cindy, David, Robert and Janet. After law school, Tibbs met Lewis Larsen, a Manti attorney reminiscent of Wyoming defense lawyer Gerry Spence. Lewis was known as one of the toughest criminal defense attorneys in the West. Lewis encouraged Tibbs to come to Manti. The two ended up sharing an office, although they never became law partners. About a year later, Tibbs was elected county attorney and served for 12 years. In 1973, Gov. Calvin Rampton appointed him as a judge in 6th District Court, which, at least at first, required him to cover courthouses from Manti to Kanab. He held the post for 23 years. Then he spent another six years as a “senior judge” covering courts anywhere in the state where a judge was needed because a sitting judge was unavailable or had a conflict of interest. 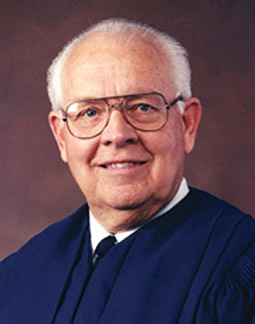 According to his daughter, Claudia Killian, when he retired for good, he was the longest serving district judge in Utah history. Even while keeping on top of his courtroom and paperwork load, Judge Tibbs served the community. He was a key organizer of a Manti chapter of the Junior Chamber of Commerce. The chapter helped get the Palisade Reservoir and land around it set aside as a state park. He was in the cast of the first Mormon Miracle Pageant and served as a counselor to Lee R. Barton in the Manti LDS Stake presidency. In 2008, the University of Utah gave him a distinguished alumni award in recognition of his judicial, community and military service. Tibbs was more than a jurist and community servant, his daughter, Claudia, says. “He was an amazing father” who was actively involved in all his children’s lives. “He supported us in college, supported our brothers on missions, he even made sure all of us went to Europe because he wanted us to see the world,” she said. In 2011, Tibbs’ wife, Marjorie, died after 63 years of marriage. It was a big loss for him, but he remained an avid reader, regular attendee at lunch at the Manti Senior Center and participant in veteran’s activities. And he loved to gather his children and grandchildren at his cabin on the West Mountain. I remember meeting with him and some other community leaders in 2007 during the emotional referendum over whether to build a state courthouse in Manti. He was clearly in favor of the courthouse but was measured in the way he talked about it and in the activities he recommended to encourage passage. I talked with him perhaps a year ago at the senior center. Although past 90, he was engaging, articulate and appreciative of his life. Ross Blackham of Moroni practiced before Judge Tibbs for many years, both as a private attorney and as Sanpete County attorney.